Hugo Boss has a new fragrance for spring for women with attitude: passionate, bold and always at the forefront of a new, empowered generation that does things in its way and lives up to the motto ‘invent yourself’. 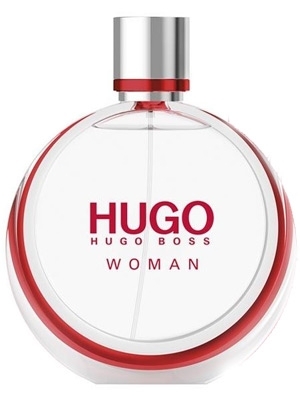 Hugo Boss Hugo Woman Eau de Parfum - 50ml EDP - $75, 75ml EDP - $90 - a fruity floral that fused traditional feminine and unexpected masculine tones with top notes of boysenberry, sparkling Italian mandarin and the mountain freshness of Himalayan red grass; heart notes consist of Sambac jasmine, black plum, iris and spicy black tea; and the base is warm with amber accords and sandalwood laced with cedar. Don't expect it to be a stronger version of the Woman EDT, I find it entirely different - with more fruity notes, a sweeter dry-down that is warmer and sexier - this is a fragrance I would wear to go out at night and feel hot! Available now exclusively at Shoppers Drug Mart and Hugo Boss Boutiques.